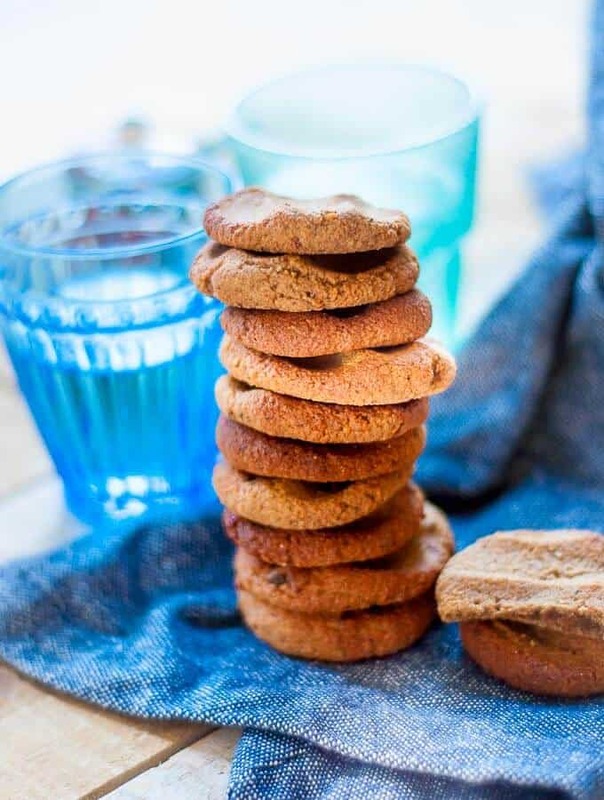 These Sugar Free Ginger Biscuits are firm on the outside and soft on the inside and pop with flavour and zing thanks to a combination of finely grated fresh ginger and ground ginger. 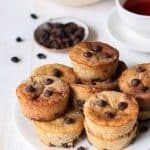 They are sweetened naturally with stevia and dates, are low carb, and you can make them in under 30 minutes. Ginger Nuts: these are generally hard on the outside and hard on the inside. There is no soft chewy centre. Although the word “nut” is part of the description, I don’t think I have ever eaten a ginger nut with nuts in it. I put the name down to the fact that when you bite into a ginger nut, it cracks like kind of like a nut, but it isn’t going to break your teeth. 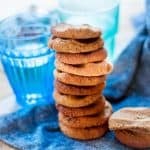 Ginger Biscuits: to me ginger biscuits are firmer on the outside than they are on the inside. They tend to have a little more crumble and there is an absence of “crunch” or “crack” when you bite into it, as compared to biting into a ginger nut. I’ve also found ginger biscuits to generally have more flavour and more ginger taste which I really like. Gingerbread Cookies: when I have eaten these, they seem to be softer than ginger nuts and ginger biscuits, both on the outside and on the inside. To me it seems to have a slight resemblance to cake and in my experience has definitely been more crumbly. Gingerbread cookies also have additional spices, other than ginger that remind be of Christmas, like cinnamon and cloves. 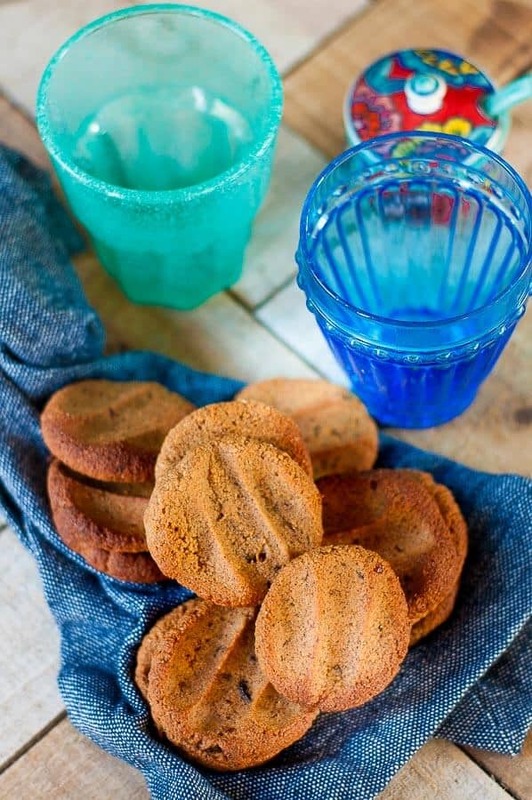 My love of ginger biscuits came from my grandmother making them for us as kids. They were and still are my favourite biscuit and whilst this is not her original recipe but it is as close to as I can remember, with a healthy twist of course – and it took several attempts until I got it just right. Oh, and I’m quite sure her recipe had tons of white sugar in it! I think these sugar free ginger biscuits are a much healthier option and are great for work lunchboxes and after dinner with a cup of tea. Looking for some other sugar free biscuit recipes to try? 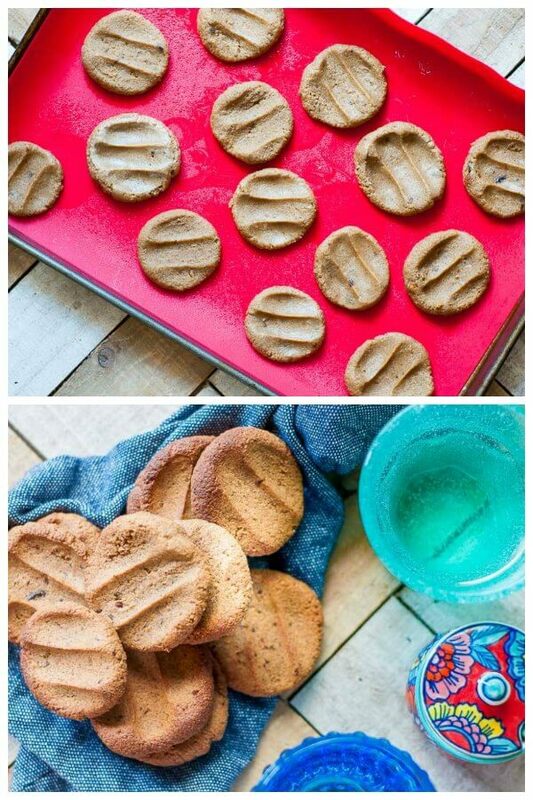 I made these Sugar Free Almond Flour Peanut Butter Cookies. 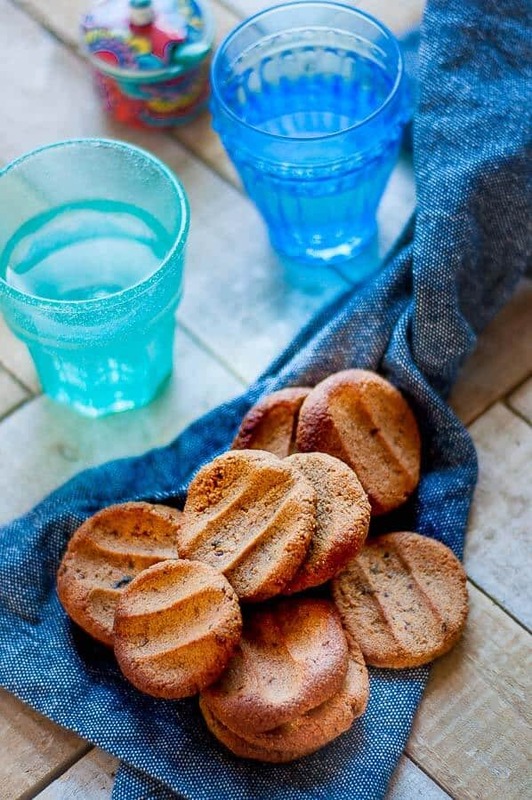 They are firm on the outside and chewy on the inside, similar to these ginger biscuits. 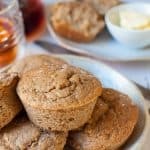 Because they are made with almond flour they are also gluten free. Or, how about these Sugar Free Coconut Jam Drops – It’s also an old family recipe but I’ve healthified it and removed the refined sugars. When making ginger biscuits, adding syrup helps to make them sweet and to give them that crunch. But what if you are avoiding refined sugars, or trying to limit your intake? Then natural sweeteners are the answer. Two of my favourites are granulated stevia and dates (just regular, not medjool) which I have used to sweeten this recipe. The dates also help to add a bit of added texture which I really like. The stevia brand I use is natvia, and I use it almost exclusively in all my recipes, both sweet and savoury. It measures like sugar and doesn’t have any nasty or bitter aftertaste. Making ginger biscuits without syrup, also allows you to focus on really bringing out the ginger flavour. I don’t know about you, but I’m disappointed when I try a ginger biscuit to find that I can barely even taste the ginger. That’s why I use a combination of fresh ginger that is finely grated. I remove the skin from the ginger first as I don’t want that in the biscuit, then finely grate it with a zester like this one, and then I use ground ginger spice. Both together is very effective at producing an aromatic ginger flavour and taste that will leave you in no doubt that you are eating a ginger biscuit. Definitely use two types of ginger: fresh ginger, skin removed and finely grated/zested along with ground ginger. Check out the Zester I use here. Making them is so much easier if you have a food processor. But if you don’t, just make sure to mash the dates into a paste so you don’t get lumpy dates throughout the mixture. Then use an electric beater to mix all the ingredients together, or it you’re game, you could try hand mixing, but I would avoid if possible. On your Cookie Sheet/Baking Tray make sure to use either a silicone baking mat, or baking/parchment paper or a spray of oil so the biscuits don’t stick and will come off easily. Store biscuits in an air tight container to keep them fresh. Store them at room temperature. 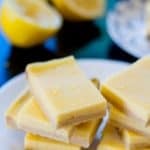 More Sugar Free Snack Ideas ——>> Date Free Bliss Balls, Sugar Free Lemon Bars, Sugar Free Gingerbread Loaf. Spray a baking tray or cookie sheet with oil to stop the biscuits from sticking if you don’t have a silicone baking mat. Using a teaspoon spoon out golf ball sizes of cookie dough and roll into a ball. Tip: if dough is sticking, moisten your hands with a little water, but not too much as the dough will go gluggy. Roll the dough into 14 balls, pressing gently on top of each one to flatten out. Let biscuits cool to room temperature with a tea towel covering them. Once they have cooled, store in an air tight container at room temperature. They will stay fresh for 4 days.